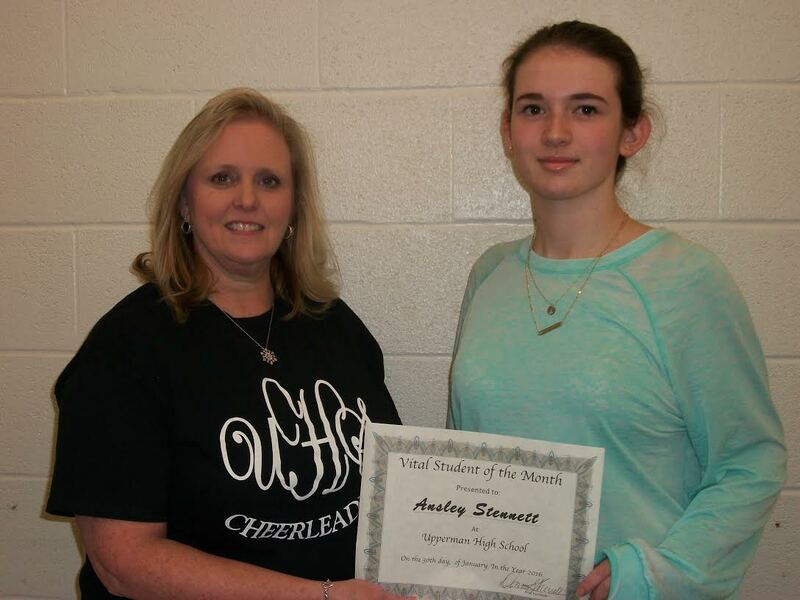 Ansley Stennett is UHS Student of the Month of January. Ansley is a Senior at Upperman and has been enrolled in Dual Enrollment classes for the past two years. She will complete 18 college hours by graduation in May. She is the daughter of Matt and Lisa Stennett. Ansley is pictured here with Donna Sherrell, VITAL Onsite Facilitator.